Opus 54 was created and produced by Caleb Bassett and Ian Welch. 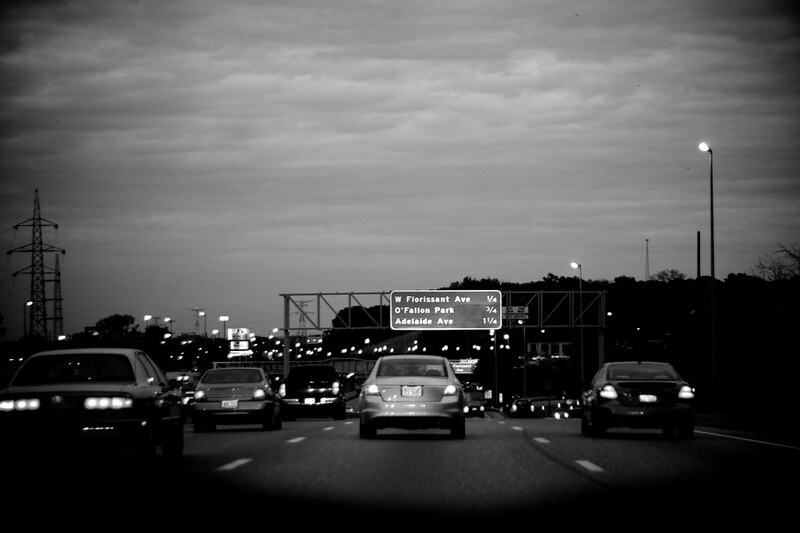 The project was conceived in 2008 and preliminary planning began soon after. It wasn’t until the 2009-10 school year began at Wisconsin Lutheran Seminary that work on the project really took off. Since that time we’ve shot and edited over ten hours of interviews. The final film is approximately 90 minutes long, with several extra features to supplement the film. To learn more about the project, read on. The Opus 54 film project actually has a number of goals and more than one purpose. The first purpose was to satisfy the academic requirements of the Wisconsin Lutheran Seminary senior church history project. The WLS course expects a piece of original historical research, drawn from primary sources, that contributes to an understanding of the history of Lutheranism in the United States of America. Our goal was to not only get a grade for the project, but also to show that a project of this scope is well within the reach of a senior at Wisconsin Lutheran Seminary. A second purpose was to develop an appreciation for the arts in worship, with obvious emphasis on the role of organ music in worship. 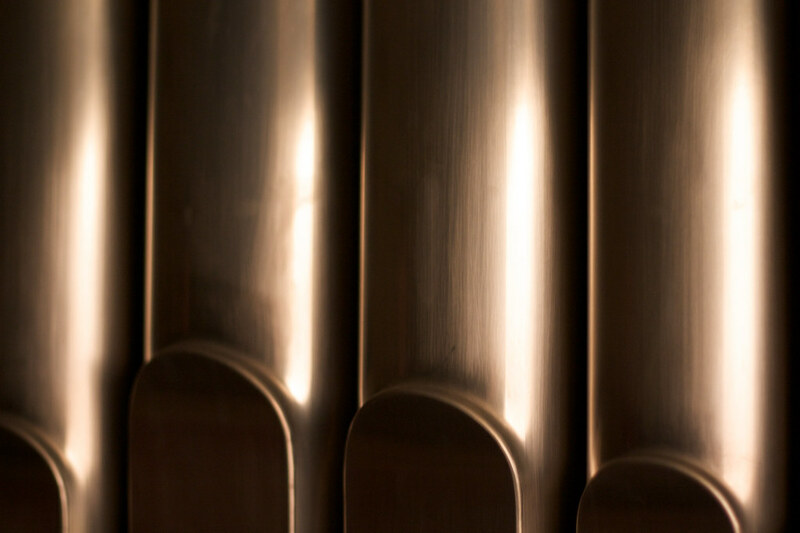 The more we learned about all the intricacies of an organ, from the choice of pipes to the sheer mechanical expertise required to construct an instrument, the more we appreciated just how magnificent a tracker pipe organ really is. Our goal was to convey this excitement and awe to our audience. To that end we took plenty of images from the inside of the organ as well as the outside. We demonstrated the different sounds the organ can play. And we recorded master organists playing the instrument. 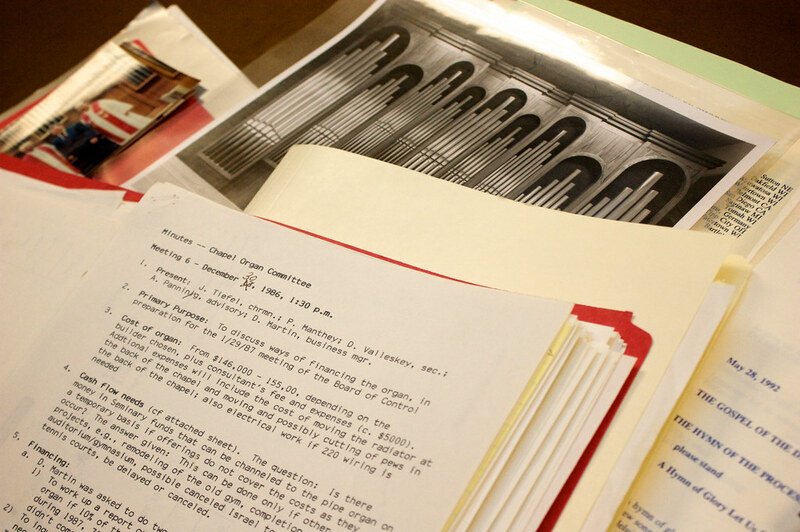 A third purpose was to encourage Lutheran congregations to consider investing in the arts and beautifying worship with the purchase of a real pipe organ. Our ambitious goal is that someday an organ committee will use the resources found in the film and on this website and be convinced that a real pipe organ is an ideal solution for an instrument to lead the people of God through the Lutheran liturgical rite. Finally, our fourth purpose was more personal. We simply wanted to work on a project that would challenge us artistically and help us develop skills in photography, videography, research, and historical storytelling. The documentary genre is interesting and we feel has some useful applications in the church. Hopefully this will not be our only documentary project. 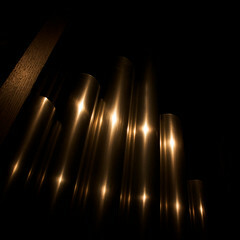 The chapel organ has a dramatic look when the chapel lights are set low. Satisfy the academic requirements of senior church history at WLS. Develop and promote an appreciation of the fine arts in worship. Encourage Lutheran congregations to invest in fine musical instruments. Increase our own enjoyment of and skill in photography, videography, research, and historical storytelling. The source documents from the WELS Archives. Set up for an interview with Pastor Christie. We were never able to devote full-time attention to this project. The demands of the Seminary schedule simply did not allow it. For this reason, work on the project stretched out over several months. Work officially began in September of 2009 when we wrote a proposal outlining the scope of the project for Professor John Brenner and Professor James Korthals of Wisconsin Lutheran Seminary. After receiving approval to go ahead with the project, we immediately began lining up interviews and working through the primary source documents found in the WELS Archives. The primary source documents consisted of chapel organ committee meeting minutes, official correspondence, and recommendations of the committee to the Seminary governing board. By reviewing all the meeting minutes we were able to formulate a timeline of events and write down preliminary interview questions. We’ve digitized some of the key primary source documents and posted then on our docs and sources page. We scheduled an interview with Prof. James Tiefel first. Tiefel is the only current faculty member who served on the organ committee in the 1980s. The other members of the organ committee have since retired. We asked Tiefel a number of questions about the background of the organ project, the challenges of the project, and what he saw the benefit of the project was. By using the primary sources as a cue for our questions, we were able to dig deeper into the story than would have otherwise been possible by simply using the meeting minutes and other papers from the organ file. The first weekend of October 2009 meant a trip to St. Louis to interview three key figures in the making of the WLS chapel organ. The purpose of the trip was to interview Martin Ott, the organ builder, at his workshop in St. Louis. We met with Ott and conducted an interview and enjoyed a tour of his workshop. At the time he was in the process of moving to a different facility. Ott also secured for us two other interviews with important people in the organ’s history. The first was Richard Murphy, who worked with Ott for more than a decade. Murphy built the wooden pipes on opus 54 and also participated in the final assembly and voicing of the organ at the chapel in Mequon. The other interview was with Earl Naylor, another man who worked with Ott for many years. Naylor was responsible for the interior design of the organ, that is, the positioning and interplay between stop action and key action inside the organ. 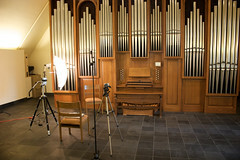 It was important for us to interview Dr. Ed Meyer, the organ consultant for the chapel organ project. 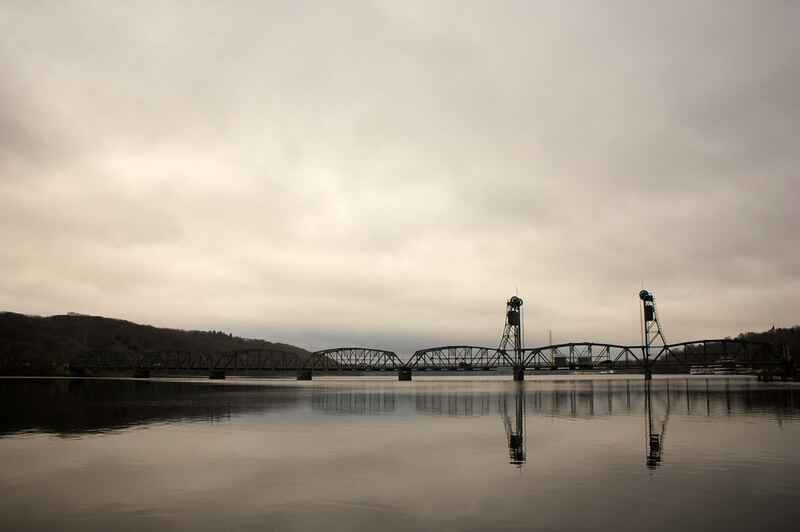 To ask him questions we packed up our equipment for another road trip, this time to the beautiful and historic little town of Stillwater, MN. Dr. Meyer was kind enough to invite us into his home and his wife graciously allowed us to rearrange her kitchen dining area to set up our mobile studio. Dr. Meyer added further insight into the process of planning and finishing an organ project. The final portion of filming took place during demonstration performances with Pastor Aaron Christie and seminarian Jacob Behnken. Christie played three organ selections and Behnken provided two performances. Both organists offered their opinions and thoughts in a brief interview as well. It was important for us to get the perspective of the organist on the bench of Opus 54.